This adorable 23" plush colored pencil pal will help your little one with those first day of school jitters! This fun sewing pattern includes the story of My First Day of School starring the adorable pencil pal himself. 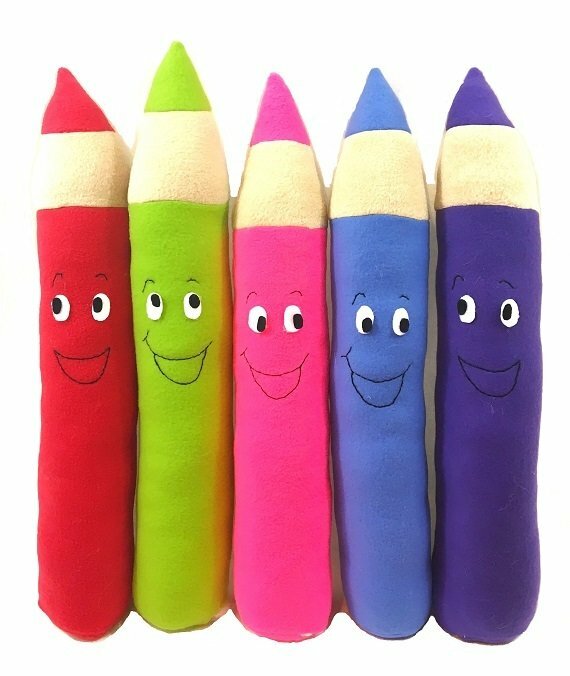 Create your own customized pencil pal in your child's favorite colors to make your new toy really come to life!